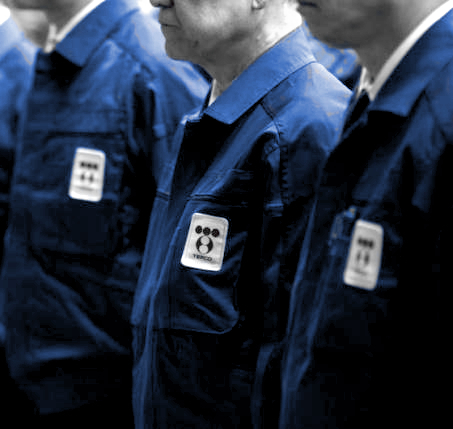 TEPCO chairman Tsunehisa Katsumata, and former vice presidents Sakae Muto and Ichiro Takekuro have been formally charged with professional negligence resulting in deaths and injury in the 2011 crisis. “I'm full of emotion,” said Ruiko Muto, head of a campaign group backing the trial, at press briefing in Tokyo. A judicial review panel was formed specifically to ensure accountability in the wake of the environmental disaster. The review panel is composed of ordinary citizens, and has ruled several times that the three men should be put on trial. Prosecutors had twice refused to bring charges, claiming there was insufficient evidence or chance of conviction, but the constant pressure has pushed them ahead. The first criminal trial of those responsible for the catastrophic reactor meltdowns is expected to begin in about six months. The three executives face up to five years’ jail time or a financial penalty if convicted. Japanese media reports say the former executives will plead not guilty, and argue that it was not possible to predict the size of the massive tsunami that knocked the reactors offline and triggered the meltdown. While international authorities say the March 11 earthquake and tsunami killed 18,500 people, the subsequent nuclear disaster is officially recorded as not having directly killed anyone. The charges related to the deaths of over 40 patients in nearby hospitals, who did not survive their hasty evacuation. They will also be called to answer for the injury of around a dozen TEPCO employees, members of Japan's Self-Defence Forces and others. A 2015 report by the International Atomic Energy Agency said misguided faith in the safety of atomic power was a central factor in the Fukushima meltdown. The regulator found widespread issues with disaster preparedness and plant design, as well as an unclear set of safety responsibilities. A report by the Japanese government in 2012 said the Fukushima was partly caused by Japan's culture of “reflexive obedience”. The public has been outraged by apparently cosy ties between the government, regulators and nuclear operators that appear to have insulated TEPCO's executives from charges so far. “The court proceedings that will now follow should reveal the true extent of TEPCO's and the Japanese regulatory system's enormous failure to protect the people of Japan,” said Greenpeace Japan director Hisayo Takada. Prime Minister Shinzo Abe is pushing to get reactors back online, nearly five years after the crisis.